MyExposome, Inc. focuses on innovative technologies for monitoring individual environmental exposure with passive monitoring devices. We are an early stage start-up company based in Pennsylvania and Oregon. Many of our product offerings are currently available under non-disclosure with special licensing terms for high-impact trials and tests. Please contact us directly on our contact page if you are interested in purchasing the MyExposome wristband..
What chemicals are around as you cook... as you eat.... when you sleep?. Plastics, flame retardants, pesticides.... what is around you? Measuring your environment, and that of your family, creates an informed electorate. Everyone is exposed to thousands of chemicals every day. They are a natural part of our environment and the vast majority of them are beneficial or benign....But not all of them. In the air we breathe there are countless airborne chemicals that present known or suspected health hazards. Some examples include chemicals from fossil fuel burning in power plants and automobile exhaust, volatile organics from oil and gas production, other industrial releases, agricultural pesticides, flame retardants embedded into common textile products, in addition to other sources. Prior to the introduction of MyExposome technology, the "grab sample" method was frequently used to measure airborne contamination. This approach used samples of air from a single place and time which is expensive when multiple samples are required to track airborne contaminants. Sampling static environments using this method is inherently periodic and can miss important exposure events, resulting in incomplete measurements to assess cumulative exposures. Additionally, stationary "grab samples" may not represent complex environmental exposure as accurately as a personal monitoring device. Pesticides include all types of chemicals that are designed to mitigate a “pest,” whether that is an insect, plant, rodent, bacteria, or fungus. Globally, most pesticides that are used are designed for plants, insects and fungi. Besides considering pesticides by intended targets, this class of chemicals may also be thought of by chemical groups such as organophosphates, organochlorines, or pyrethroids. Most of these classes are insecticides that affect the nervous system of the intended target, but in high concentrations from either inadequate disposal, use, or from leakage, any pesticide may affect off-target species including other plants, insects, or even humans. Pesticide toxicity for humans can range from minor skin or respiratory irritation to central nervous system malfunction. MyExposome wristbands detect pesticides. Flame retardants include several types of compound families, including polybrominated diphenyl ethers (PBDEs), organophophorous flame retardants (OPFRs). Sources include manufacturing products that are designed to be flame resistant such as textiles, plastics, and wire insulation, as well as paints and products designed for buildings, boats, homes, aircraft or cars. While there are 209 congeners of PBDEs (similar to that of PCBs), OPFRs simply imply that these compounds are used as flame retardants and contain a phosphate group, and functional groups may be diverse. Human toxicological concern for PBDEs stems mainly from neurobehavioral effects, while ongoing research on OPFRs is focused on endocrine disrupting potentials of several individual compounds. MyExposome wristbands detect flame retardants. Polychlorinated biphenyls (PCBs) describe a broad family of man-made compounds manufactured from 1929 until 1979. PCBs were used in an incredible array of products, from electrical and hydraulic applications to additives in paints, plastics, rubbers, pigments, dyes, copy paper, caulking, and fluorescent light ballasts. 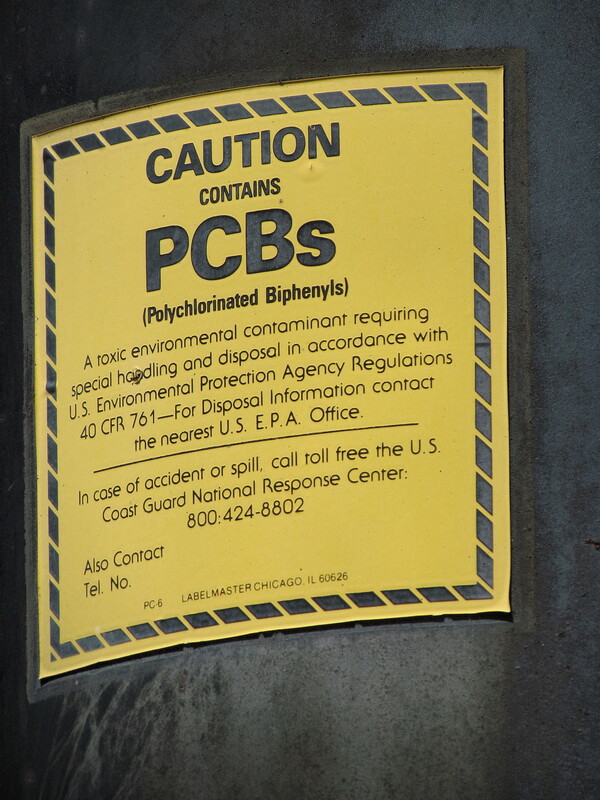 PCBs were sold as mixtures of individual chlorinated compounds, referred to as congeners. In total, there are 209 configurations and degrees of chlorination, and therefore 209 different congeners. Because they were engineered to be stable, they do not readily break down in the environment and may be transported long distances from sources while cycling between air, water and soil. Toxicity varies among the congeners but concerns include cancer as well as reproductive, nervous system and endocrine system issues. MyExposome wristbands detect PCBs.